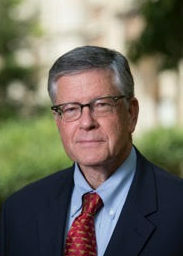 Henry L. Roediger, III is the James S. McDonnel Distinguished University Professor at Washington University in St. Louis. He studies human learning and memory and has made contributions to the study of illusory or false memories; implicit memory tests and priming; retrieval practice effects and their implications for education; confidence about memory reports and their accuracy; highly superior memory abilities; and collective memory phenomena, among other topics. Roediger received a B.A. from Washington & Lee University and a Ph.D. in cognitive psychology from Yale University. He taught at Purdue University, the University of Toronto, and Rice University before coming to Washington University in 1996. Roediger’s honors and awards include the Howard Crosby Warren Medal from the Society of Experimental Psychologists, the William James Lifetime Achievement Award from the Association for Psychological Science, the Lifetime Achievement Award from the Society of Experimental Psychology and Cognitive Science, the John P. McGovern Award from the American Association for the Advancement of Science, as well as the Lifetime Mentoring Award from APS. Roediger has served as the president or chief officer of the Association for Psychological Science, the Psychonomic Society, the Society of Experimental Psychologists and the Midwestern Psychological Association. He received a John Simon Guggenheim Fellowship, as well as a Doctor of Social Science, honoris causa, from Purdue University. He is a member of the American Academy of Arts and Sciences. * FABBS would like to thank Dr. Andrew Butler and Dr. Mark McDaniel for nominating Dr. Roediger for this honor and for leading the effort. Would you like to honor Dr. Roediger? It’s not too late to have your name added to the list of donors! You can make your donation to Dr. Roediger’s In Honor Of… campaign at anytime.